Beroze was born in the Seychelles and moved to England in 1978, qualifying as a solicitor in 1986. She has practiced in the Hayes and Hillingdon area since that date as a conveyancing and private client solicitor. Beroze has worked from both Hayes and Hillingdon offices where she has established a large and loyal client base. Beroze is rightly proud that many of her present clients have been clients for almost thirty years. 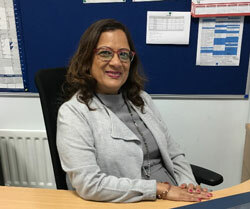 Beroze now specialises in Wills, Probate and Elderly client work which she truly enjoys and she volunteers with Age UK (Hillingdon) on a weekly basis. She loves working with elderly clients, many of whom need and appreciate a patient, sympathetic and friendly solicitor and is happy to visit clients at home, in Hospital or in a Care Home. Beroze often acts as a Deputy and Attorney for clients who, for whatever reason, cannot manage their finances and who have no one in their family able to undertake this task. When not at work, Beroze can usually be found in front of the TV. She is a keen sports follower although, for her sins, is an Arsenal fan and season ticket holder. Beroze jokingly believes this is the likely cause of her high blood pressure but intends to keep going to watch the Gunners and has her fingers crossed that they will win more trophies before she eventually retires! Before commencing her training contract in 1999, Rakhi was an associate lecturer in Property Law at the College of Law in London. In April 2002, together with Beroze Bana, Rakhi established Bana Vaid & Associates. Her managerial and financial skills were immediately put to the test and as a newly qualified solicitor, she found herself running her own business. Rakhi enjoys what she does so much because she genuinely loves meeting new people and interacting with clients. Bana Vaid and Associates have built a reputation of being friendly and approachable and as a result, many clients have become long term clients and good friends. Rakhi specialises in Residential Conveyancing, Wills and Probate and is the overall Manager of the Residential Conveyancing department of the firm. She is rightly proud that Bana Vaid and Associates are members of the Conveyancing Quality Mark, a high quality accreditation scheme set up by the Law Society. Membership means that Bana Vaid and Associates meet the high standards the Law Society sets to ensure that clients receive a professional and quality conveyancing service in line with the quality standards of the Law Society’s scheme. Although business is very important to Rakhi, away from the office she enjoys married life and has a young son. 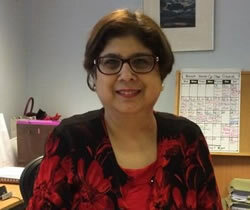 Manjit joined Bana Vaid and Associates in 2003 having worked as a legal secretary and conveyancer with other law firms. She was initially employed as secretary and PA to Beroze Bana and at the same time was studying and working towards taking her exams to qualify as a Legal Executive. 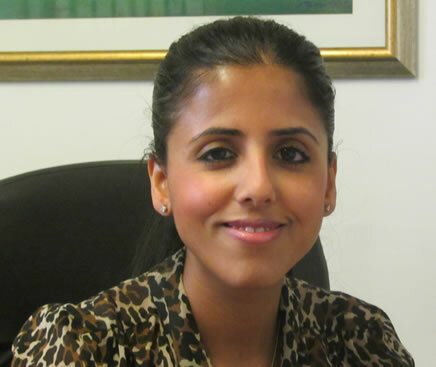 Manjit qualified as a Chartered Legal Executive in 2006 and is now the main Property Lawyer at the Hayes office. Manjit specialises in both residential and commercial conveyancing and also works with Beroze Bana in Probate and Will matters. 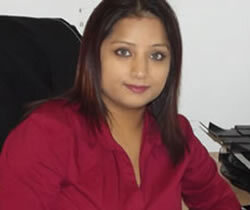 Ambitious for success in her chosen career, Manjit is committed to helping build up a loyal and expanding client base. Manjit is particularly proud that she has many clients who she has represented in the past and who continue to return and instruct her. She has built up a network of estate agents and financial advisers who recommend her to their clients as they appreciate her hard work, conscientiousness and attention to detail. Many of her new clients are referred to her by other clients. 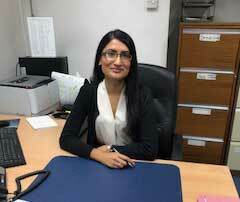 Outside work, Manjit enjoys a busy family life. When she does get a moment to herself, Manjit enjoys watching films and TV although she also very much enjoys socialising with family and friends. Rhea qualified as a Solicitor in 2018 before joining Bana Vaid and Associates as a Private Client Associate. She has experience in Civil Litigation, Family Law and Criminal Defence but her true passion lies within the Private Client sector after studying this during her Legal Practice Course. She works closely with Mrs Bana and also undertakes work in the Conveyancing department and enjoys the variety of work undertaken by the firm. Rhea thrives from being able to make a difference whilst providing first hand support to Clients. 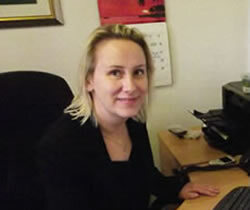 A local resident all of her life, Nicky has worked at the Hillingdon office since 1994, when she started as an office junior with K E Davis and Sons. When Beroze Bana joined the practice, she became her secretary and gained proficiency in Residential Conveyancing, Probate and Wills. Along with Beroze Bana and Rakhi Vaid, Nicky has been with Bana Vaid from its inception in 2002 and has worked with Rakhi Vaid as her Personal Assistant since then. Apart from working very closely with Rakhi on her client files, Nicky has a number of administrative duties such as reception work and managing the smooth running of the office. She has responsibility for the Wills database and the storage of Wills and has been dealing with this since 1994. Nicky enjoys dealing with clients on a day to day basis and, as she sits in reception, has often been told that she is the "Face of Bana Vaid" by many of our clients. Bana Vaid and Associates are known to be an extremely friendly and approachable firm and Nicky says she loves the atmosphere and the people with whom she works. Away from work, Nicky enjoys reading, going to the theatre and spending time with her friends and family, particularly her honorary family member Milly (her beloved cat!). Tina (AILC) joined Bana Vaid & Associates in February 2018 as a Senior Legal Cashier, she has over 30 years of experience working in the Accounts Department of large to medium sized city law firms, where she began as a junior and progressed to a Senior Legal Cashier. After 30 years of commuting to the city, Tina decided to work locally. Outside of work Tina’s time is taken looking after joint family. She enjoys going to gym, yoga, socialising with friends, reading, listening to music and watching movies. 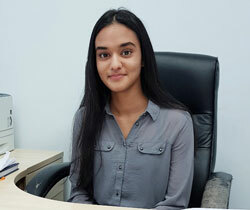 Nilam joined the firm in 2016. She graduated with an LLB(Hons) and is currently undertaking her Legal Practice Course (LPC) at BPP University. She works as a Paralegal in the Conveyancing department as well as assisting in the Wills and Probate departments. Being able to meet new people and interact with clients on a daily basis makes her job thoroughly enjoyable. Outside of work, Nilam enjoys travelling, going to the gym, spending time with family and friends and reading. 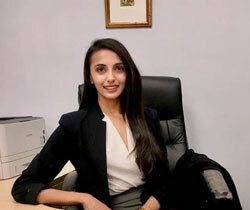 Sonia initially joined the firm on work experience following her graduation from SOAS University, where she read Law. Being an ambitious and determined addition to the team, she progressed to join the firm as a Paralegal in early 2018. Sonia currently works closely with the conveyancing department, though her experience continues to flourish in both that and private client matters. Aside from work, Sonia enjoys regularly weight training, countryside hikes, visiting museums and is never far from a good historical novel.